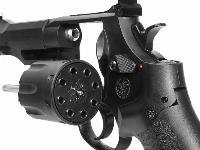 If you enjoy shooting revolver air guns, you've probably noticed that there aren't that many of them. If you're looking for your first revolver, this would be an ideal one to get. The price is well below what you'd pay for most other models, and it'll be inexpensive to shoot because it uses steel BBs instead of lead pellets. The S&W M&P (military & police) R8 looks & feels like the firearm it copies. If you use airguns to maintain proficiency with handguns, you'll want to get this. 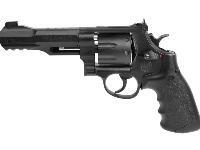 Things I liked: A fairly authentic plastic Umarex replica of the Smith & Wesson M&P R8. 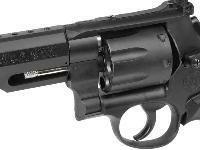 It is far more authentic in appearance than Umarex's other R8 entry, the S&W 327 TRR8. 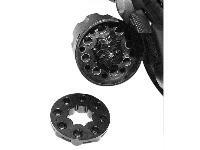 The 8 shot rotary clips also function as effective speed-loaders. Things I would have changed: A little more weight would be nice, although a laser mounted on the under-barrel accessory rail improves the weight and balance considerably. 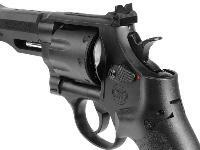 A laser also helps to compensate for the fact that the rear sight lacks an elevation adjustment. 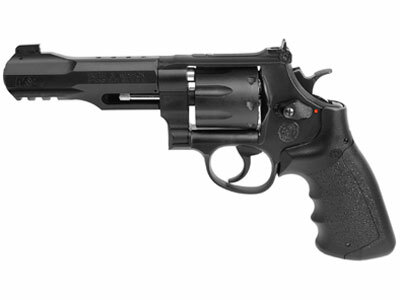 What others should know: Despite what other reviewers have implied, Smith & Wesson has no connection with this revolver other than the license agreement they have with Umarex to allow the use of their exterior design, logos and trademarks. Things I liked: This revolver is very authentic looking. The plastic polymer is high quality and feels solid. Though the gun is light weight it has a decent balance in hand. 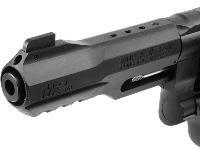 The double action is smmoth and it's easy to stage the trigger pull while shooting. Things I would have changed: While the double action is smooth, the single action is quite heavy and stiff...almost unusable! Maybe this will improve as the gun breaks in. An all metal version closer in weight to the real firearm would be great. Also, the bb clip doesnt fully extract from the cylinder requiring you to pull it out with the left hand. Quite awkward. What others should know: This is a really fun and accurate gun. Shooting double action, I was consistantly able to hit a small aspirin bottle at 30 feet! Also, on a 50 degree day I got almost 140 full-power shots per CO2 cylinder. I highly recommend this gun. Get lots of extra clips! You can use any standard BB with this model, you can see a list in the recommended accessories. 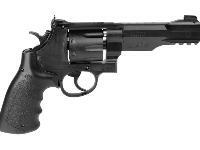 Can you replace the current grips, with the S&W wooden, K Frame Large grips? 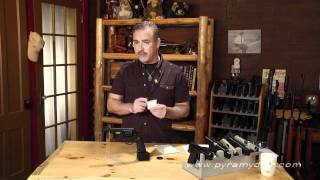 CO2 BB repeater that's realistic and just plain fun to shoot!